Notes of a lecture on the historical philosophical development of the notion that the universe is very old. The lecture was given August 1st 2015. See Age and Reason Seminar Adelaide for details. Bishop James Ussher was the Irish Archbishop of Armagh and primate of all Ireland. He excelled in education, was fluent in Arabic and Hebrew. In 1654, after an exhaustive investigation, he published his date for the Creation of the Universe – 4004 B.C..1 When Ussher published this Creation date it was believed. There was nothing remarkable about that. If you add up the genealogies in the Bible, and with a bit of historical knowledge, you can easily get a time since the beginning of the world of around 6000 years. It was believed that God created the world as He said in Scripture about 4000 years before Christ. For roughly 18 centuries of the Christian era such a time period was widely believed. And it was from the Middle Ages science was nurtured in the Christian universities of Europe and flourished after that, from the Reformation on, underpinned by the rich Christian worldview that held that the Universe was created by a rational trustworthy God, and the unchanging laws of nature are His creation. And in that environment we have seen the development of experimental science, what we also call operational science, which has been the source of all the modern technology we see around us today. We are familiar with this type of science, based on repeatable experiments done in the present. But there is another type of science. Historical ‘science,’ which is based on evidence available in the present, but consists of stories about supposed events in the past that cannot be repeated, observed, or tested experimentally. It is forensic science where you have to make up a story about the past. The events are not repeatable because we can’t go back into the past. Like at a crime scene where evidence is gathered and then fitted into a story of how an unseen past event may have occurred. But evidence doesn’t speak for itself—it is interpreted within the worldview of the researcher. Only in a CSI TV drama do they usually get a confession, hence an eye-witness account. With Earth history the question of age is not a science question but a history question and you need a reliable history book to answer that. I know of only one reliable witness who was there—God—and He has given us a written history in the Bible. Evidence doesn’t speak for itself—it is always interpreted within the worldview of the researcher. There are two world views: Naturalism and biblical Christianity. Naturalism has been around a long time, since the Garden of Eden actually, and since then these two worldviews have been at war with each other. It never has been ‘science’ verses ‘religion.’ That is a red herring. The war has always been between ‘revelation’ by God in His Word and the man’s belief in materialism, positivism, and uniformitarianism. These are pagan ideas, Greek philosophies, which have been dressed up as modern science. Jesus Christ and his Apostles many times referred to the Creation and the Flood as literal history. That fact is integral to special revelation and Christ as our Saviour. Many people think, they can prove which worldview is correct simply by looking at the scientific evidence, such as radiometric dating. But that is putting the ‘cart before the horse.’ Evidence does not ‘speak itself.’ It needs to be interpreted and that needs an interpretive framework that, in turn, will depend on what presuppositions one holds. Naturalism denies the Creator, and so-called modern science has been defined to exclude His work in His own Creation. Some have re-interpreted Genesis chapter 1 to try to fit it with evolution and long ages over billions of years. 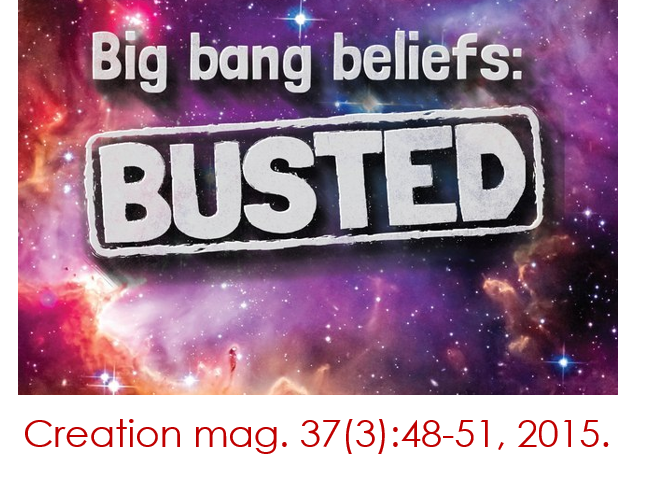 That is, “In the beginning 13.8 billion years ago, God created via the Big Bang…” Big bang/evolution and biblical Creation are utterly incompatible. There is no reason to add billions of years to the revelation of God if you believe the rest of the Bible. It accomplishes nothing, except yields the ground of true history to the pagans. God made the Earth, the Universe, all in 6 literal days…not billions of years. Some foolish Christians have compromised God’s Word and tried to make the Genesis creation account an allegorical description of the big bang history. But, even ignoring the differences in ages, billions compared to thousands, you cannot make the big bang sequence of events fit that of the Genesis account. 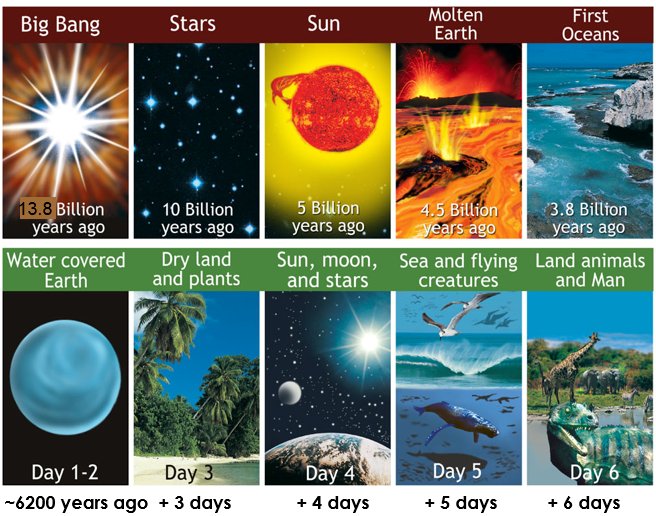 On the left, are listed the events on creation days 1-6, in order, compared to, on the right, the sequence of alleged events in the big bang evolution story. Each cross indicates an out of sequence event. Each time these lines cross as indicated by the ‘flashes’ means a conflict and there are 25 there. Many of the founding fathers of modern science in the 17th and 18th centuries (e.g. Galileo, Kepler, Copernicus, Newton, Boyle, Faraday, Halley, Linnaeus) were believers in the literal 6-day 6000 year history of the Universe. Their belief was based on an acceptance of the book of Genesis as a trustworthy narrative. However in the 17th century the general acceptance of that worldview started to change. Georges-Louis Leclerc, later known as Comte de Buffon, a naturalist in the 18th century, was an intellectual of the so-called Enlightenment. He expressed ideas on naturalism in his 1749 treatise Historie naturelle, which were very pagan like those of the Greek philosophers. He redefined the scope of the natural sciences such that divine action was marginalized—to remove any trace of the Creator’s actions from the world. He cunningly claimed that Noah’s Flood was a miracle and hence would have left no remaining evidence, and was critical of Whiston’s biblical theory of the Earth. 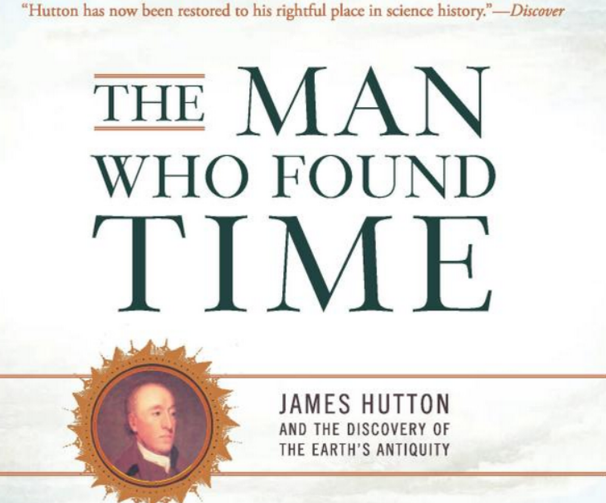 Also in the 18th century James Hutton advanced the idea of long ages of Earth history. Remember naturalism excludes the Creator. Hutton observed in the rock strata (in the geology around him) slow and gradual changes, including the accumulation of the sedimentary layers, and extrapolated the idea over long periods, thus promoting ‘uniformitarianism’ over periods of time that no man could have observed. 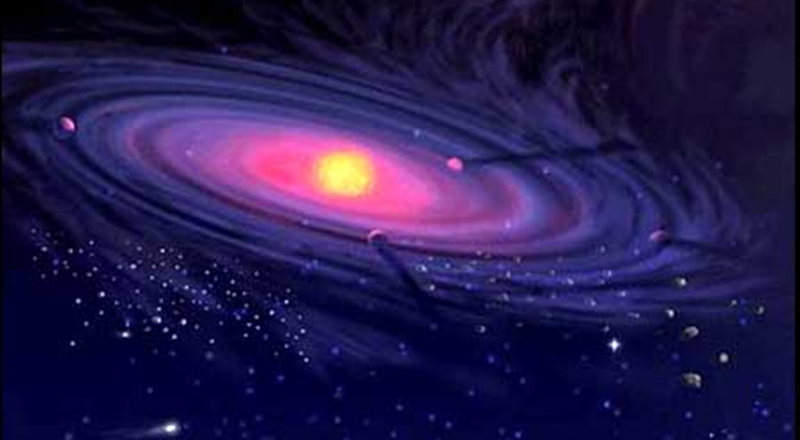 ‘Deep time’ was believed —that the earth was millions of years old (which later grew into billions years). Hutton has been called the ‘father of modern geology.’ Some of his writings even anticipated the Gaia hypothesis—a pagan philosophy. During his lifetime there were competing ideas between the naturalists and biblical creationists on the history and age of the world, but it should be noted that the atheistic intelligentsia were already strong in the century before. This debate has always been about sin, the same sin that Adam and Eve committed in the Garden of Eden, when they listened to Satan, who said “…You shall be as gods,” knowing good and evil. (Genesis 3:5) Hutton’s publication of the pagan idea of millions of years of prehistory meant that Adam could not have been a real person. And we evolved from some past ape-like ancestors. In the 19th century, Charles Lyell extended Hutton’s ideas and propagated them through his books— the Principles of Geology. He promoted naturalism and uniformitarianism—both pagan concepts. In 1839 Charles Darwin, as a geologist, set out from England on board the HMS Beagle, to South America, taking a copy of Lyell’s book ‘Principles of Geology I.’ This gave him the idea of the time, long time periods, he needed for biological evolution to change the simplest organisms into the complex over the needed millions of years. ‘Deep time’ was all he needed. He supposed if we see small changes in living things all that was needed was lots of time and you could have big changes. That was his speculation, now called evolution. But Darwin began as a geologist looking for evidence of millions of years in the rocks. 20 years later he published his ‘On the Origin of Species.’ More pagan concepts. Prior to Darwin, the nebular hypothesis, the theory for solar system formation, had been advanced by Pierre-Simon Laplace, a mathematician and astronomer. There were two other notables who promoted this idea. Immanuel Kant a German philosopher, atheist, and sceptic, and Emanuel Swedenborg who spiritualised the Bible, twisted Scriptures, was a mystic and psychic, who rejected salvation by ‘faith alone,’ but believed it is by ‘faith plus works.’ More paganism. The nebular hypothesis maintains that the solar system formed from the gravitational collapse of a fragment of a giant molecular cloud of gas about 5 billion years ago. The composition and mass of the fragment was about the same as that of the sun today, with hydrogen, helium and trace amounts of lithium produced in the big bang fireball. The rest of the elements observed in the sun formed during the alleged billions of years after the big bang with stars exploding and recycling their contents. One of the hypothesis’s most significant problems is its inability to explain our sun’s lack of angular momentum compared to that of the planets. The sun should have spun up extremely fast as the hypothetical nebula cloud collapsed down. Another problem is that stars just don’t form naturally. Basic physics prevents the needed compression of a gas cloud. As the cloud compresses it heats up and pressure prevents further collapse—this is called the Jeans limit. The worldview dominates here. University lecture notes titled ‘Stellar Evolution—Details’ writes4 “But of course these clouds have to become stars, so something must push them over the limit where the self-gravity will overcome the gas pressure.” Some claim tens of millions of years will provide enough time to radiate away heat to cool it but computer simulations must be seeded with dark matter or start them after the Jeans instability limit has been exceeded. That is, start the simulation with the cloud already in gravitational collapse. But how did it get that way? You could use a supernova or two, to compress the cloud. But you could never explain the first stars that way. The age of the solar system is determined by radioactive dating method on meteorites. It is claimed they must be leftover from its creation. The oldest age was measured in an inclusion of the CV3 carbonaceous chondrite in Northwest Africa (NWA) 2364 and was dated at 4.56822 ± 0.00017 billion years old. Those errors are statistical not accuracy. The meteorite was found on earth but because it dates older than any Earth rocks it is assumed it must represent the age of the solar system. That age has remained essentially unchallenged. The worldview dictates what the evidence means. 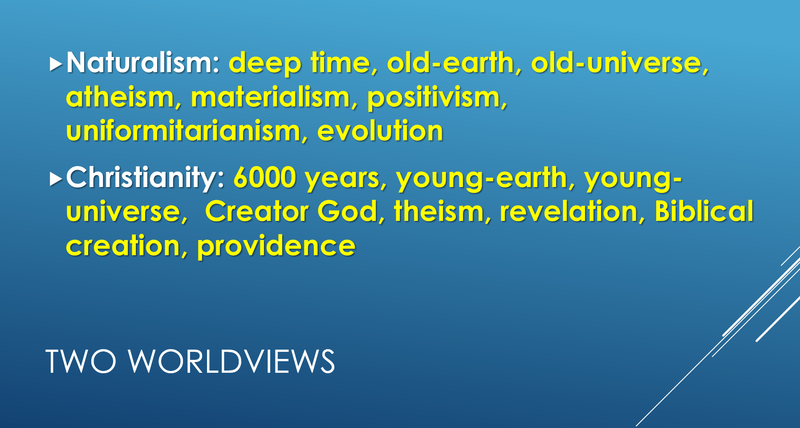 So as long as the worldview is held to be true the ages are never challenged. ‘Spurious’ ages—determined from other meteorites which don’t agree—are rejected as not fitting the nebular hypothesis for the formation of the solar system. Thomson’s initial 1864 estimate was that the Earth was of order 100 million years old. His uncertainty was the melting temperature of rock in the earth’s interior. In 1897 he reduced his upper bound by a factor of ten; ultimately he settled on 20 million years. This was in stark contrast to the hundreds of millions of years needed for the accumulation of sedimentary layers by the gradualists. After the publication of Charles Darwin’s book ‘On the Origin of Species’ in 1859, Thomson saw evidence of the relatively short age of the Earth as tending to contradict Darwin’s gradualist explanation of slow natural selection bringing about biological diversity. Thomson’s own views favoured a version of theistic evolution sped up by divine guidance. In 1896 radioactivity was discovered. Following that in 1903 it was discovered that radioactive decay releases heat which meant Kelvin’s age of the earth was challenged. Ernest Rutherford famously made the argument in a lecture attended by Kelvin that this provided the unknown energy source Kelvin had suggested was needed that would prevent the earth cooling as he proposed but his age estimate was not overturned until the development in 1907 of radiometric dating of rocks. Kelvin never agreed with that though. But Kelvin’s age of the earth was not so critical for the uniformitarian age of the solar system because the age of the sun at that time, based on a calculation that its radiation output is powered by gravitational collapse, was only 20 million years. — John A. Eddy, astrophysicist, Geotimes, vol. 23, (September, 1978), p. 18. He said that in 1978 but really nothing has changed, not even the sun’s magnetic field, which was discovered in 1908. But one thing that has changed on earth since the 19th century is the earth’s magnetic field strength. Since Carl Gauss first measured the Earth’s total magnetic field strength in 1829 it has decayed 14%. (The intensity has decayed 7% since then.) In the last 400 years that means it has decayed 30% in total energy—since the era of science began. Walter M. Elsasser proposed magnetic field resulted from circulating currents in the earth’s outer core. But losing half its energy every 1400 years means its maximum age cannot be more than 20,000 years. This is an argument in favour of the 6000 year biblical history. Elsasser proposed a dynamo so the field can be maintained for billions of years, but no successful dynamo model has yet been demonstrated. Worldview again was used to fit the earth’s magnetic field’s age into the solar nebular hypothesis. 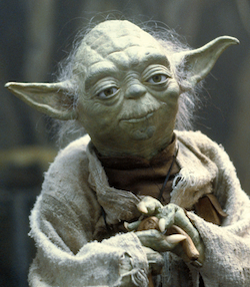 From this point on we’ll consider the developments not only in the Galaxy but also in the Universe as a whole. The Roman Catholic Church absorbed a lot of pagan ideas and practices in the 4th to 14th centuries as it assumed power over Europe. 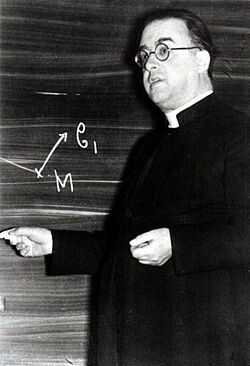 It is no surprise then that the leading worldview today was, in 1927, proposed by a Roman Catholic priest Georges Lemaître, mathematician and evolutionary cosmologist. The Jesuits were formed to undermine the Reformation, and hence the Scriptures, even explicitly to use nefarious methods in a counter-Reformation to bring the protestants back to Rome. Lemaitre was Jesuit educated. Soon after and in the same way as Alexander Friedmann, who was an atheist, Lemaître proposed the big bang model, a solution he found in Einstein’s General Theory of Relativity. But the Friedmann-Lemaître model is completely at odds with Scripture. 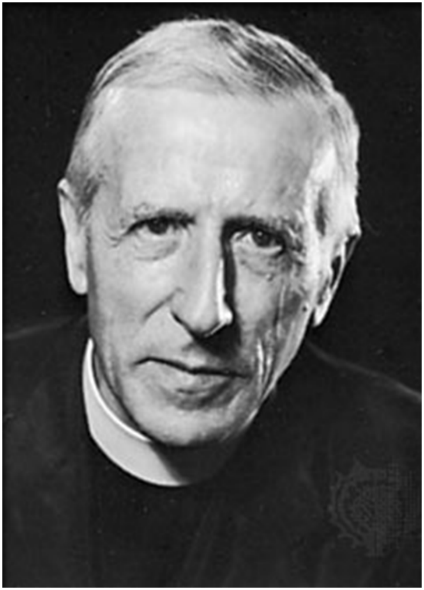 A Jesuit priest to note is Pierre Teilhard de Chardin. He was an evolutionary palaeontologist and geologist, involved with the discovery of ‘Peking Man,’ and even the famous half-man/half-ape fossil skull called ‘Piltdown Man,’ which remained undetected as a forgery for 40 years. Such is the faith in evolutionary paradigm. De Chardin was praised by the recent popes (Benedict XVI in 2009 and Francis in 2015). He promoted pagan mystical ideas including that evolution unfolded from cell to organism to planet to solar system and ultimately the whole universe. This is exactly the pagan Gaia hypothesis. More paganism. In 1929, Edwin Hubble, and atheist, an anti-theist, who thought the notion of a created Universe ‘abhorrent’, measured the distances and redshifts of nearby galaxies, and thereby discovered that the universe is apparently expanding. Though he doubted that interpretation of his evidence for many decades later. He measured an ‘expansion rate’ called the Hubble constant, which when interpreted in the Friedmann-Lemaître big-bang model gave an age for the Universe of only 2 billion years. But this presented problems for naturalism. One of them was found in our galaxy. 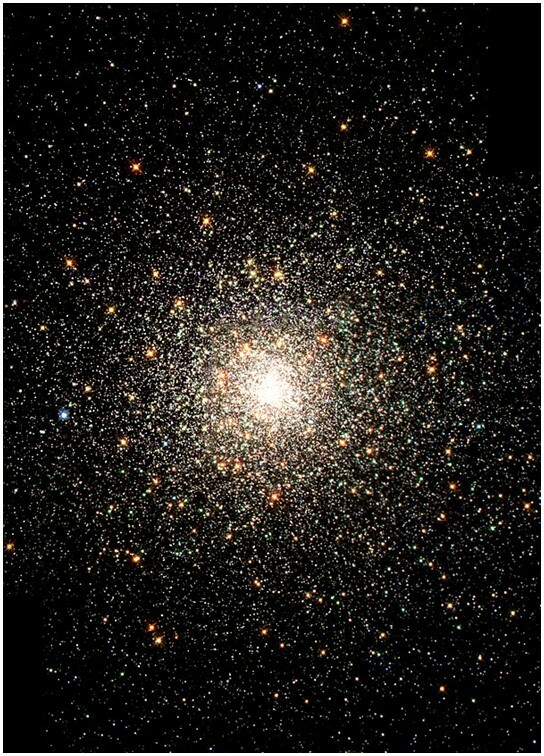 Globular clusters are bound groupings of ‘old’ stars in the Galaxy. No known globular clusters display active star formation. Thus they are believed to be the oldest objects in the Galaxy; some were even found to be ‘older’ than the Galaxy itself. They are believed to be the first collections of stars to form, mostly containing only hydrogen and helium unlike our sun. From the evolutionary stellar model, ‘ages’ typically were determined as old as 12.7 billion years. Historically, age estimates of globular clusters were greater than the cosmological models allowed for universe itself. However, now with better measurements of big bang model parameters via space telescopes, such as the Hubble Space Telescope, it appears that this issue has been resolved. Now the Universe, at 13.78 billion years old, is older than the globular clusters. The big bang model had to be adjusted with new parameters until it was older than these stars. Astronomers looked at spiral galaxies and saw they have only a few turns in their spiral structure. Based on their measured rotation rate one rotation should take about 200 million years. Thus there is only a few hundred million years of ‘age’ in the spiral galaxies. Yet the big bang is believed to have initially produced all the matter of the universe. And all galaxies first started to form only a billion years after the big bang. Here was a contradiction! The observed galaxies must be at least 10 billion years old but based on number of windings in their spiral arms they are 50 times younger than that. They appear not to have rotated enough times since they first formed. Astronomers sometimes call this the ‘wind-up problem’ of the spiral arms. The problem occurs because the inner parts of the disks of these galaxies are observed to rotate faster than the outer parts. Galaxies are not solid bodies and as they rotate they should wind up so much that their spiral structure should have been destroyed over 10 billion years of their alleged lifetime. The resolution was easy—they say, we don’t understand how the spiral arms of these galaxies are formed. A solution was advanced with the ‘density wave’ theory, which is supposed to solve this and save the 10-billion-year age of galaxies. But the belief system—the worldview—motivates the new theory. Not the other way round, because if the galaxies are young, there is no problem, they were created as mature spiral galaxies only 6000 years ago. The few hundred million years is an upper limit for their age in our created Universe. 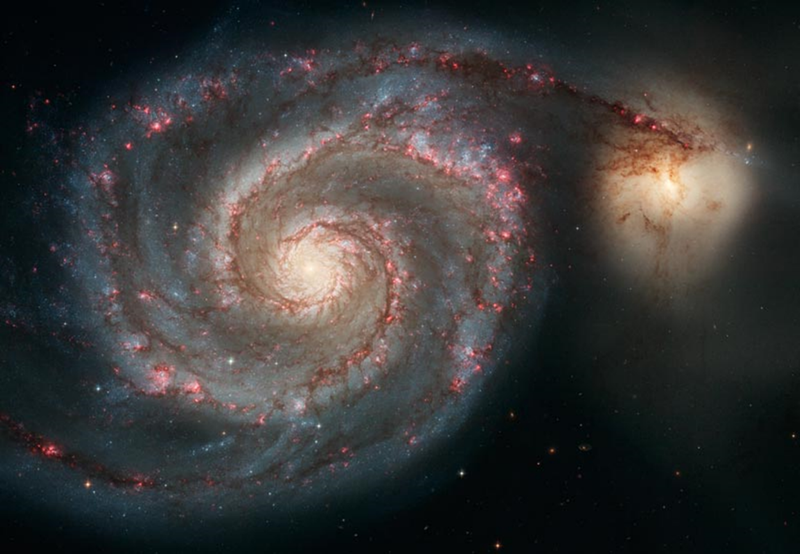 I have not yet even mentioned another big problem here for the naturalist, the required ‘dark matter’—unseen matter, yet 7 times the normal matter— to explain the motion of the stars in these spiral arms. Then there is the problem of comets still entering our solar system. But if the solar system formed 5 billion years ago why are not all the comets used up? 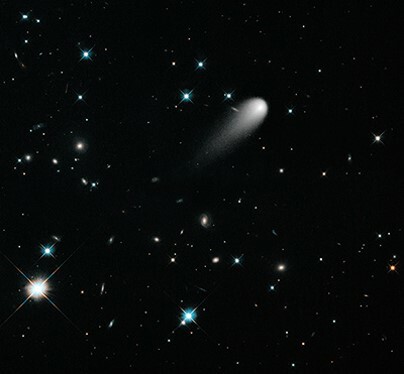 Particularly short period comets! Comets almost evaporate approaching the sun and many are destroyed on their path through inner solar system. They are mostly dirty ice-balls, but some icy dirt-balls, with very volatile chemicals. But here is another case of the belief system—the worldview—to the rescue. 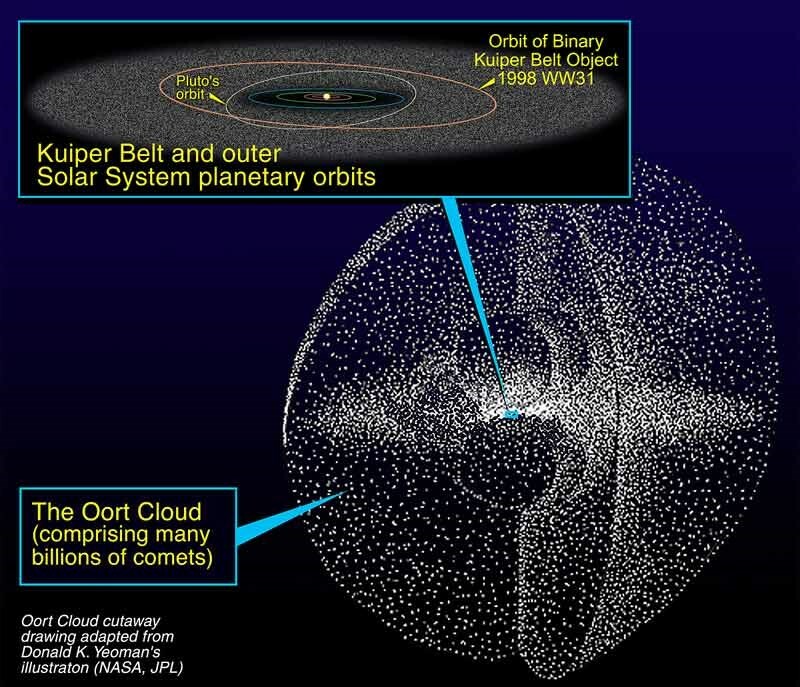 It was proposed that because the solar system has been around 5 billion years, there must be some huge, yet unobserved, cloud of cometary material—called the Oort Cloud—way outside, but in a spherical halo around, the solar system. It is alleged that the Oort Cloud has had sufficient mass to fuel the comets for all that time. Telescopes observe a donut shaped ring of planetoids outside Neptune’s orbit—called the Kuiper Belt—but where is the Oort Cloud? Never been observed. But don’t let the facts get in the way of a good story. After the speed of light was measured to be a large number, yet still finite, it was suggested that the universe must be very old. Great distances must mean a long travel time. How could light from the most distant galaxies travel some 10 billion light-years to earth since creation? How could the 6000 year history of the Bible still be true? They would argue that obviously over the passage of 6000 years, light could only travel 6000 light-years. After all that is the definition of a light-year, a unit of distance. This is a light-travel time problem. See Starlight and time: Is it a brick wall for biblical creation? But cosmology is not science! It is scientism. The mind is already set on a particular worldview and it is not biblical creation. By building one assumption on another a complex set of assumptions are developed which masquerade as science. That paradigm generally goes unchallenged. But don’t take my word for it,5 (emphases added). What he means by that is because we only have one universe we can’t tell if our universe is typical, we can’t tell from what we see if that is what we should see. We are hence limited in our knowledge of the Universe. And it’s not going to get any better. ‘The goal of physics is to understand the basic dynamics of the universe,’ [Michael] Turner says. ‘Cosmology is a little different. The goal is to reconstruct the history of the universe.’ Cosmology is more akin to evolutionary biology or geology, he says, in which researchers must simply accept some facts as given. It like trying to reconstruct the history of the earth from the rocks or the history of life from the fossils. It’s historical science at best. It is not repeatable testable laboratory science. So what can you do? How crazy has cosmology become? Well, what is he talking about? energy, followed by dark fluid,8 dark flow,9 and dark radiation,10 and now a new entity is suggested for the ‘dark sector’ of particle physics – dark photons.11 The ‘dark sector’ is full of hypothetical entities designed to save the big bang story but it is really just a lot of cosmic storytelling.12 All are unobserved entities which I call ‘fudge factors’. On my short list I now count 20 different unsolved problems for the big bang.13 Hence pagan unknown ‘gods’ are invented to support the failing paradigm! 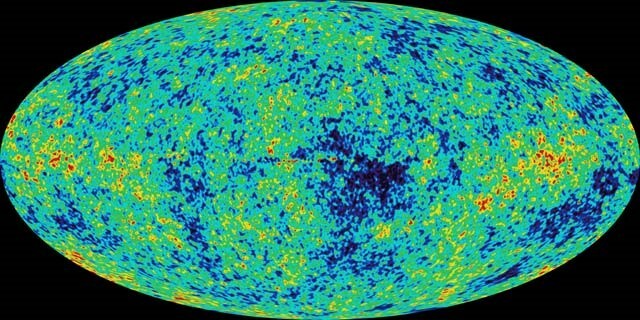 The Cosmic Microwave Background (CMB) radiation is the biggest claimed ‘proof’ of the big bang. Claimed to be leftover radiation from the big bang fireball. Predicted by Alpher and Gamow in 1948, observed by Penzias and Wilson in 1964, for which they received the Nobel Prize in 1978, explained to them by Dicke in 1965. Penzias and Wilson measured a temperature for this radiation of about 3 degrees K—3 degrees above absolute zero. Isn’t it proof of the big bang? 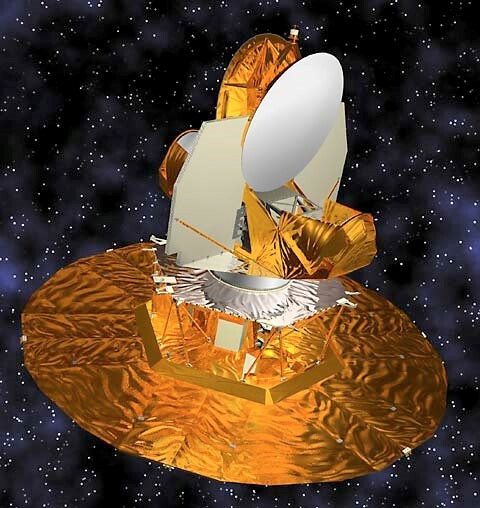 Since 1965 several satellites have been used to measure the CMB temperature more precisely. 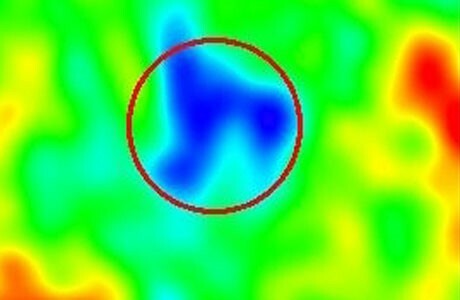 Pictured here is WMAP.14 Its measurements were released in 2003 with a uniform temperature of 2.72548 ± 0.00057 K.15 Though claimed as a true prediction Gamow never predicted a temperature less than 5 K, and his last prediction was 50 K, so we could say he got it wrong. The map here shows the very small variations of that temperature over the sky (bright warm, dark cold)—variations away from the uniform 2.725 K. Cosmologists say these variations are related to density variations of the original radiation from the big bang fireball, which allegedly seeded the initial formation of stars and galaxies soon after the big bang. One problem though for that to occur, the big bang theorists had predicted at least ten times larger variations than was measured. That meant the temperature variations were too small, but quickly the theorists modified their theory to fit. Here is another case where the worldview dominates. More paganism. Another problem: the now infamous ‘Axis of Evil’ was found in the data. 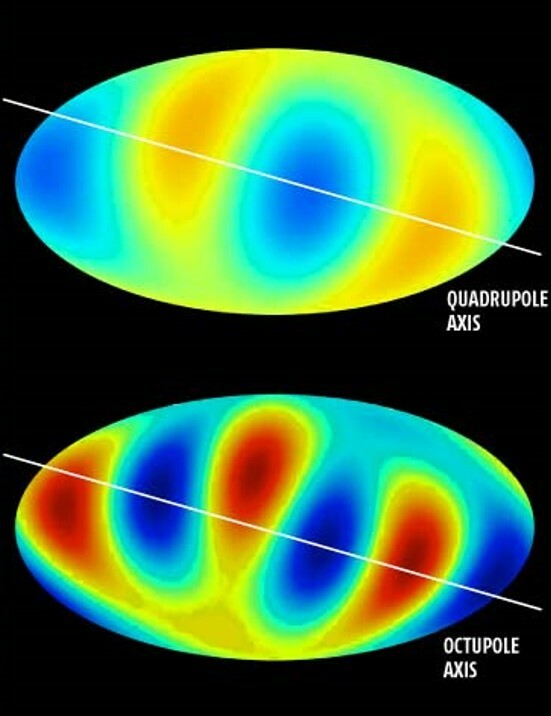 When the WMAP temperature data was decomposed into what are called spherical harmonics, in the quadrupole and octupole components (as shown here) it was found that there is a preferred direction in the Universe. 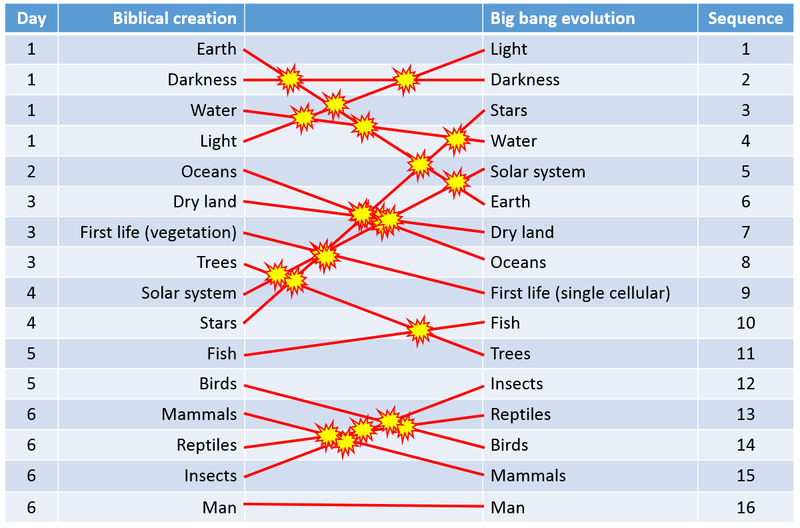 But there is no preferred direction in the big bang model. This means some features of the CMB temperature variations are aligned to a particular direction in space. That is even aligned with the plane of the solar system and the path of the Sun in the sky (the ecliptic). It is inconsistent with a big bang origin for the CMB. According to big bang thinking, it should have nothing to do with the local physics of the solar system. This is claimed to be a statistical fluke by some, but it has also been found in the newest satellite data, PLANCK by the European Space Agency (ESA), having no connection with NASA’s WMAP satellite. The effect was found in many higher order spherical harmonic terms. This is evidence against the standard assumptions of the big bang. It is saying that even though we assumed our place in the Universe is nothing special, and the Universe is the same everywhere, as might be seen by any hypothetical observer anywhere, somehow, the CMB radiation is telling us that there is a special direction, and that it is aligned with the plane of solar system. It does not describe a geocentric universe, as some have claimed, but it certainly undermines the cosmological principle, which is foundational to the Friedmann-Lemaître big bang model. Yes, the foundational assumption in the big bang model is that the universe on the large scale is uniform throughout. This is called the cosmological principle. But another discovery in the WMAP data, which was confirmed by the PLANCK satellite, is the existence of a giant cold spot. It is a super void, in the direction of the constellation of Eridanus, 10 billion light-years away, about 1 billion light-years across. The matter density there is far smaller than expected by the big bang model. No stars, no galaxies, nothing, not even ‘dark matter’ is found. Again this undermines one of the important assumptions of the big bang—uniformity, the standard uniformitarian philosophy of the pagan belief system. CMB radiation should cast a shadow in the foreground of galaxy clusters, but it does not. We haven’t talked about black holes, which are believed to inhabit the centres of all galaxies, yet they provide no answer to the ‘dark matter’ crisis in cosmology. It seems that the pagan philosophy, now sold as the big bang origin of the universe, is in deep trouble, where many ‘unknowns’ are invented to explain the unknown. But that is just like digging yourself into a deeper and deeper hole. What is the solution to the ludicrous state of big bang cosmology? Scrap it in favour of the model described in the Genesis account. God created this universe in a form essentially as we see it today and He sustains it by His unlimited divine power and wisdom. It is only about 6000 years old as measured by earth clocks. Age is observer dependent. It is the worldview that motivates the selection and interpretation of the evidence. All evidence contrary to the pre-existing belief system is rejected as discordant. So, let me ask you a final question: Why reject 6000 years as the age of the Universe? K. Reed and S. Doyle, Worldviews, logic, and earth’s age—part 1, Journal of Creation 27(3): 71-78, 2013. K. Reed and S. Doyle, Worldviews, history, and earth’s age—part 2, Journal of Creation 27(3): 98-104, 2013. This is largely determined from Genesis chapters 5 and 11 and connecting that sequence with known historical events. Read J.G. Hartnett, Does the age of the earth really matter? Gabriel Weston, Catching History’s Criminals: The Forensics Story, Episode 2: Traces of Guilt, BBC FOUR, 29 June 2015. Stellar Evolution – Details, accessed 21 July 2015. 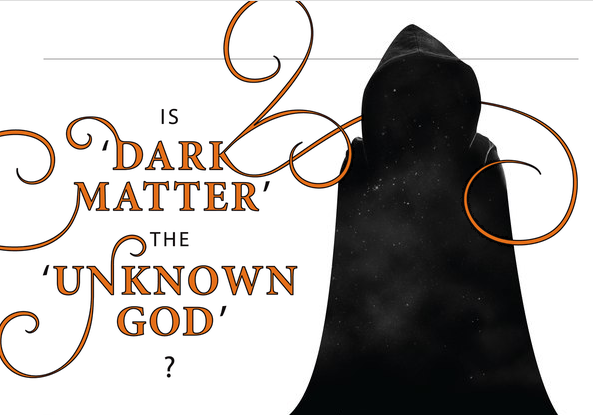 John G. Hartnett, Is ‘dark matter’ the ‘unknown god’? Creation mag. 37(2):22-24, 2015. Dark fluid is a hypothetical alternative to both dark matter and dark energy; explaining both phenomena as a single entity. Hypothetical sterile neutrinos, see J.G. Hartnett, Dark radiation in big bang cosmology, 11 November 2014. Hypothetical photons that facilitate the interaction between hypothetical dark matter particles, see J.G. Hartnett, ‘Dark photons’: another cosmic fudge factor, to be published. John G. Hartnett, Cosmic storytelling, 9 April 2015. John G. Hartnett, Does the claimed ‘find’ of dark matter end the ‘big bang’ crisis? 18 December 2013. Wilkinson Microwave Anisotropy Probe (WMAP), Wikipedia, accessed 12 July 2015. Cosmic microwave background, Wikipedia, accessed 12 July 2015. Lieu, R., Mittaz, J.P.D. and Shuang-Nan Zhang, The Sunyaev–Zel’dovich effect in a sample of 31 clusters: A comparison between the x-ray predicted and WMAP observed Cosmic Microwave Background temperature decrement, Astrophysical J. 648:176–199, 1 September 2006. John G. Hartnett, ‘Light from the big bang’ casts no shadows, 16 December 2014. Fantastic article John. A wonderful summary of the history of the development of the pagan age of the universe. At the end of the day, science has not led anyone to a belief in the age of the universe…this belief is held ‘a priori’ and then the evidence is either made to fit (paganism) or found to fit (creationism). We can trust the Creator of the Universe for all the He said He did and why. Bless you.